Fast-growing Discovery Point Child Development Centers continues to raise the bar in the child care industry with the heart of a teacher and a winning franchise focus. A pioneer in educational childcare, Discovery Point’s literacy focused, whole-child approach is designed to provide children of all ages with a great foundation for future learning and development. Each week, Discovery Point Centers feature a theme or concepts introduced by current children’s literature. Teachers and children snuggle up for favorite stories; they dress up and act out roles. Teachers introduce rhyme and letter sounds and rich vocabulary by building a love for books, music, and storytelling. They ask questions of the children to encourage conversation and teach children that their ideas have value. “This approach allows learning to be very child-centered and also allows us to reach each individual learner in a format – and on the timetable – that is best for the child,” emphasizes Moore. This fall, Discovery Point will take the brand’s focus on child-centered learning to new heights with the launch of a proprietary, research-based curriculum. Discovery Point Connections focuses on literature and language-based elements to form synapse connections in children's brains. The curriculum will be flexible enough for adaptions to be made for individual students' needs and interests and presented with the critical connecting factors of language and literacy. Each unit will include creative arts, discovery-based science, music and movement, math, and social skills. Backed by 30 years of experience, the new curriculum builds on the principals instilled by founders Cliff and Diane Clark, a career educator, who opened the first Discovery Point in an Atlanta suburb in 1988 with a single vision: educational childcare at its best. 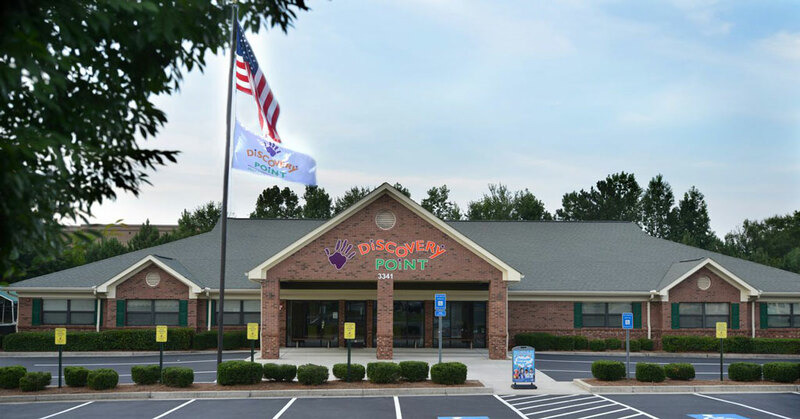 Discovery Point offers unrivaled franchisee support from the start with training for both owners and teachers, resulting in a strong network of owners, teachers, and staff. Ongoing support for teachers and staff is offered by Discovery Point’s own state approved trainers. These motivational Saturday sessions cover topics ranging from health and safety procedures to planning engaging activities for even the center’s youngest learners. “Teachers also continually provide feedback about what is working in their classrooms, resulting in the highest quality of care in the business,” notes Moore. At the core of the Discovery Point brand is a passion for education and a love for young children. With nearly 50 locations and growing, Discovery Point’s bright future is rooted in the brand’s core values of happiness, love, safety, trust, fun, family, and community and a mission to ensure that each educational franchise has a positive impact on children. To learn more about becoming a Discovery Point franchise partner, visit www.discoverypointfranchise.com.